MST Upright Weights are a great way to add weight down low on your MST CMX and CFX trucks equipped with standard axles. 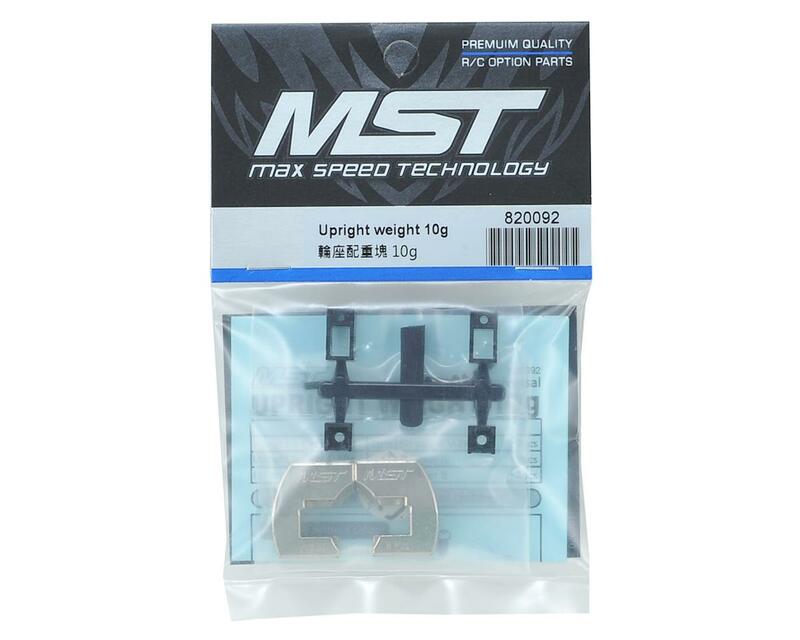 The weights add 10 grams of weight per side and can can be used with or without the optional MST Disc Brake Set (MXS-210143, MXS-210492 - not included). 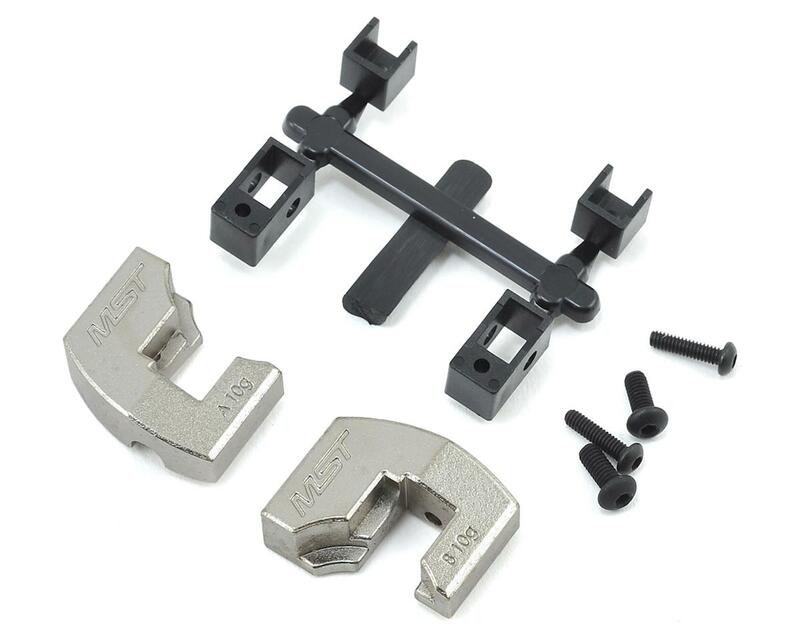 Package includes two weights, mounting brackets and hardware.